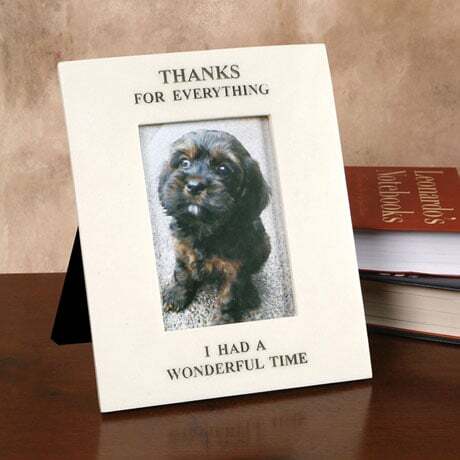 You gave your beloved pet a great life. 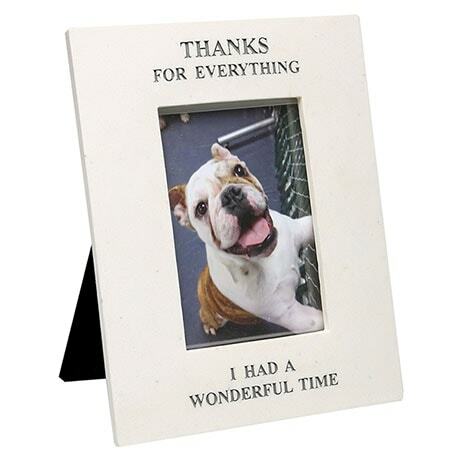 If your pet could speak, this is what he or she would say. These words (and the favorite image you provide) will comfort you while grieving and remind you of the good times. Laser-engraved marble resin accepts a 4" x 6" photo. Frame viewing area is 3 ½ x 5 ½. Easel back; sawtooth hardware included.